Reggio Calabria is a sunny city, with a wonderful climate and a territory that will satisfy both fans of the sea and the mountains. 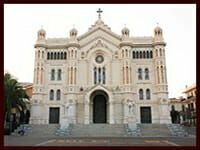 Here is a brief and certainly incomplete list of beauties that you can visit in the city of the Strait of Messina. 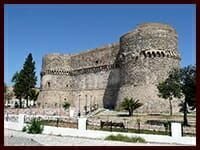 The Aragonese Castle in Reggio Calabria is the main fortification of the city, it stands in the Piazza Castello, which is also the building of the Court, between the street and the street Aschenez Possidonea. 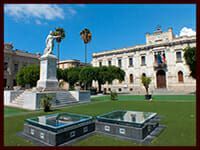 It is considered, along with Bronze Statues, one of the main symbols of the historic city of Reggio. The statues of the Riace Bronzes are considered among the most important sculptural masterpieces of Greek art, and including the direct testimony of the great sculptors of the classical age. 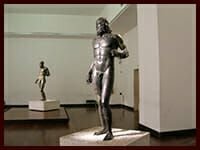 The National Archaeological Museum of Reggio Calabria (also known as “Piacentini palace”) is a historic and important institution of preservation of Italian culture, possessing one of the most remarkable collections of artifacts from Ancient Greece. The origins of the Cathedral of Reggio are due at the beginning of the millennium when, with the Norman invasion of southern Italy, Reggio suffered a process of “romanization” and the progressive abandonment of the greek-Byzantine cult of which he was the center. In 1061 it came to town the Normans who left the ethnic Greek population of the ancient cathedral (called “The Catholic”, 5 minutes from the B&B), to order the construction of a new cathedral that was under the order of the Pope Rome. The street now called “Corso Garibaldi”, shopping center and life Reggina, originated after the earthquake of 1783 when the government implemented a Bourbon general reconstruction plan based on models Enlightenment, which imposed for the reconstruction of the city system checkerboard streets and cancel the old medieval urban structure. The demolition of the walls is created road axis of the course, then called Bourbon course, paved with white stone Macellari, subject today of a slow and difficult recovery operation, and bordered by the architectural perfection of the palaces and the large squares. Piazza Vittorio Emanuele II (formerly “Small Tocco”, where once you elected the Mayor of noble extraction), better known as Piazza Italy, is one of the most important squares of the city of Reggio Calabria and is now the administrative center of the city as it hosts the headquarters the Municipality, the Prefecture and the Provincia.Recentemente came to light an important archaeological site with remains dating even back to ancient Greek. 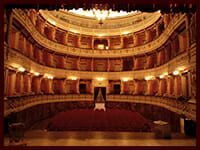 The theater “Cilea”, with a capacity of 1,500 seats is the largest theater in Calabria. 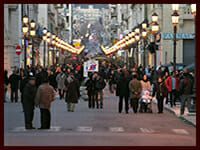 Its construction was started in 1908 and today is a reference point for the artistic and cultural tradition of the region. 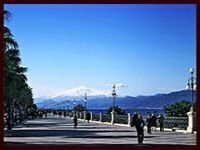 The promenade of Reggio Calabria, known for being defined by Gabriele D’Annunzio as “the most beautiful kilometer in Italy”, is home to a strip botany of incredible beauty, a boundary of beautiful Art Nouveau buildings, a variety of archaeological sites Greek and Roman, as well as a variety of impressive sculptures of modern times. During the summer, the sea comes alive even more with beaches and bars that enliven the nights Reggine. 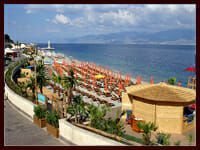 Calabria is home to 780 miles of beautiful coastline and Reggio Calabria, already from its center, offers cozy accommodation summer with various areas for the entertainment of guests: zone bar, restaurant, club, dance floors, lounges and lounge bar. The Arena Strait (or “Amphitheatre Anassilaos”) is a theater of modern construction, located on the Via Marina, where before the earthquake of 1908 stood Molo di Porto Salvo. 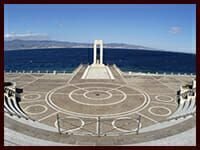 The structure, reflecting the tradition of the ancient theater, offers a panoramic view of the Straits of Messina. The theater is often the site of the biggest events of the city, such as music, theater and film. Via Marina is considered by many a magical place, and not only for the rare phenomenon of the Fata Morgana that charms the lucky spectators who can view it. Strolling through a unique scenery you will see sculptures and monuments unique, such as the giant realized by the modern Rabarama. The whole city is enriched with several archaeological sites and, in Via Marina, you can see the remains of the wall that protected the city during the Greek age and the baths used in Roman times.